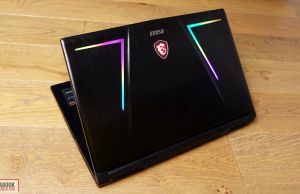 Summary: The MSI GE73 Raider might not be as compact, nicely crafted or well equipped as the newer thin-and-light laptops available at the beginning of 2019, but it checks the important aspects expected from a gaming machine with its excellent performance, cool thermals, fast screen, fair image quality and punchy speakers. It's also competitively priced right now, with the updated models available in stores, but it remains nonetheless a trade-off meant for those looking for value and willing to accept its quirks, while those looking for the latest features and traits and willing to spend more should rather look elsewhere. 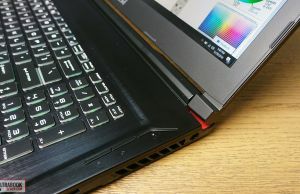 This article is about one of the most popular 17-inch gaming laptops of 2018, the MSI GE73 Raider 8RF RGB. 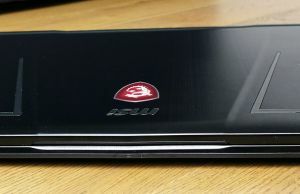 It’s been available for many months and while by now it has started to show its age, we took the time to put it through our standard set of tests in order to see if it’s still a viable option at the end of 2018 and how it compares to the more recently launched alternatives, like MSI’s own updated GE75 Raider, the Asus ROG GL704GS, the HP Omen 17 or the Alienware m17. 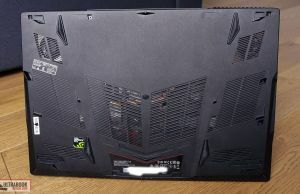 The fairly compact and light build, the hardware specs (Core i7-8750H CPU + GTX 1070 GPU), the keyboard, the fast high-refresh rate screen, and the competent cooling make this a compelling gaming computer, but potential buyers are expected to accept the gaming-inspired design, a small battery, noisy fans, and a TN screen, albeit a good one if you can look past the fairly narrow viewing angles. 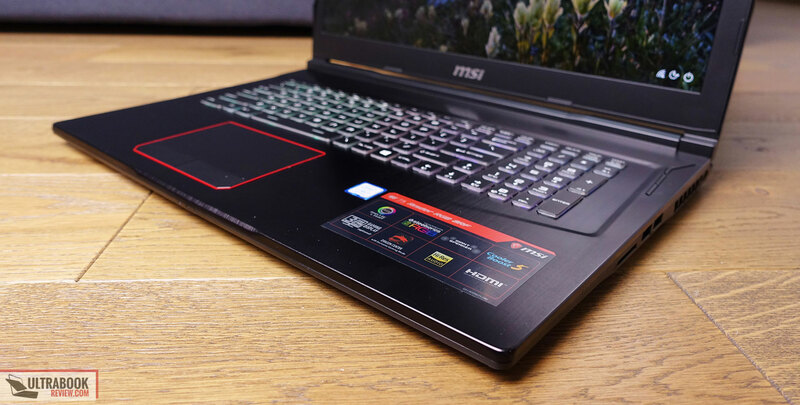 You’ll find more about these from the rows below, as we’ve spent a few weeks with the retail version of the MSI GE73 and gathered our impressions in this review article, with the positive aspects and the quirks you should be aware of if you decide to go for one of these. 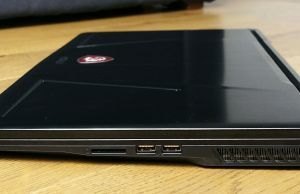 We’re not going to focus on how the GE73 Raider looks, as at this time there are many other smaller and nicer made 17-inch laptops with similar specs out there, so you’re definitely not going to buy this one for its aesthetics. What you should know is that the GE73 Raider is still fairly light for its class, at 3 kilos/6.5 lbs, which is mostly due to the fact that plastic and thin sheets of metal are used for its construction. As a result, this doesn’t feel premium and gets flex in the keyboard deck and in the lid. 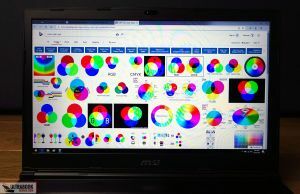 These aside, potential buyers would also have to accept the gaming-oriented accents, particularly the RGB LED bars and backlit MSI shield on the hood. The shield is lit by the LCD panel, so can’t be switched off, but the light-bars can be disabled from the SteelSeries Engine app, so perhaps this might just get accepted in stricter school or office environments. The interior, on the other hand, is dark and simple, with a dim LED next to the power button and dim status-LEDs hid out of the way on the front lip, so there’s nothing that would bother you with daily use, once you’ll get rid of those stickers plastered on the palm-rest. There’s not much to complain about when it comes to living with this laptop. The build could be stronger, as the chassis squeaks when grabbing and moving it around, and you’ll need both hands to lift up the screen, but otherwise the hinges are stiff enough to keep the display as set-up, allow it to lean back to about 160 degrees, the ports are conveniently lined on the left side, the front lip is blunt and low-profile, so won’t dig into your wrists, and the feet on the bottom are grippy enough to keep the laptop well anchored on a flat surface, despite the fact that they’re rather small. Flipping the laptop upside down you will, however, notice a couple of extra plastic support feet on the sides, which the laptop actually sits on and which could easily scratch your desk over time. I hate those and wish MSI would have gone with bigger rubber feet instead. Down here you’ll also notice the air-intakes, as well as the cuts for the two speakers and two subwoofers. 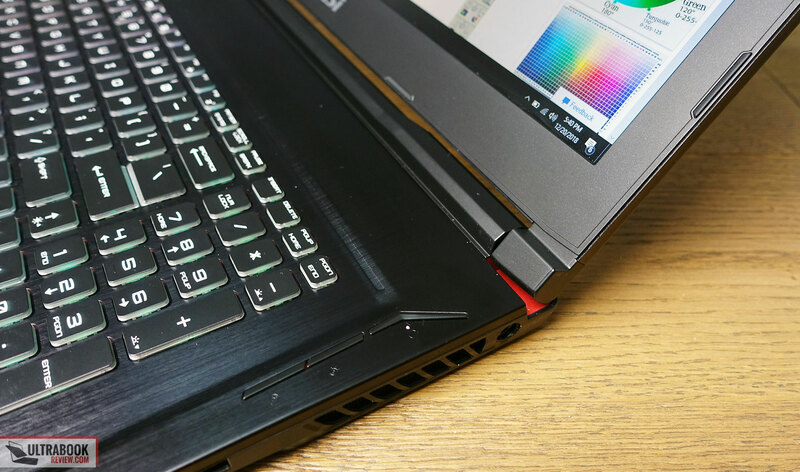 I will mention that a lot of MSI users are reporting broken hinges after a couple of years of use, normally when the laptop is out of warranty, so you should make sure to pamper your device. Google “MSI laptop broken hinge” for more details and ways to fix it, in case it happens to you. As far as the IO goes, there’s almost everything you’ll need on such a laptop (3x USB A, 1x USB C, HDMI 2.0 and miniDP, card-reader), but there’s no Thunderbolt 3 port and the SD card-reader is rather slow. All in all the MSI GE73 shows its age, and its build quality, design and even IO are outshone by the newer launches in the class. 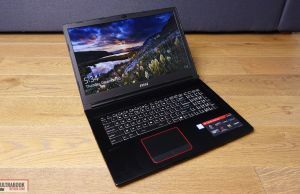 Even so, though, this remains fairly light and compact for a 17-inch laptop with powerful hardware, plus you’ll be able to find it cheaper than the newer models, which for some of you might be enough to compensate for the lacks. 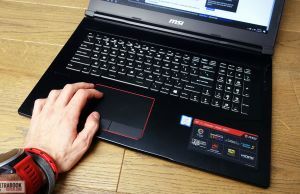 The GE73 gets the Steelseries chiclet keyboard that MSI puts on all their gaming notebooks, and it’s one of the better options out there. 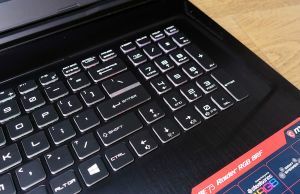 I don’t have a lot of experience with MSI laptops, but I was able to adapt fast, and Derek has always sworn by this keyboard in his reviews over the years. The layout is mostly fine, with a full-sized main deck of keys, full-sized arrows, and a smaller NumPad section. 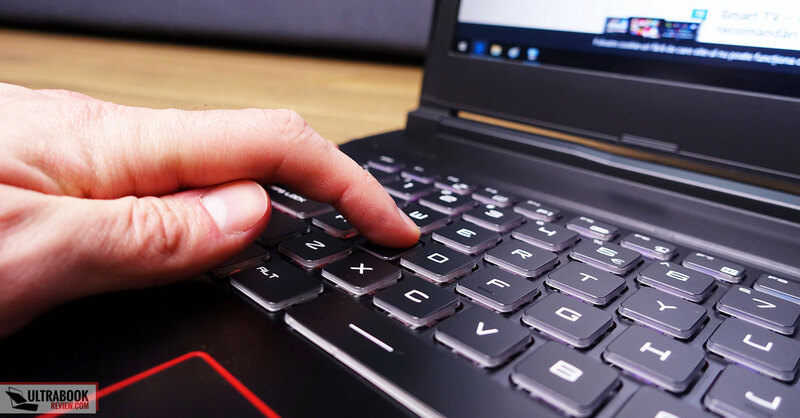 What I absolutely hate is the fact that MSI moved the Windows key towards the right side, where they also implemented the \ key, which I find completely non-intuitive, but I’d reckon one could get used to their placement after a while. There’s also the option to switch the FN and Windows keys in the BIOS or the included Dragon Center app. The Delete key is also oddly placed at the top of the NumPad. 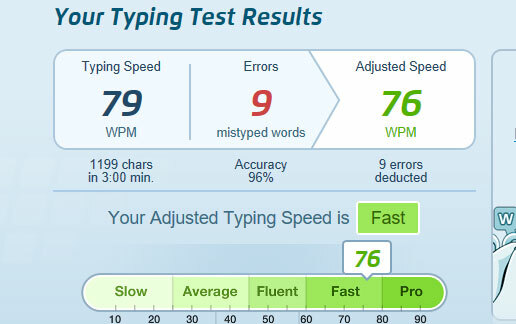 This keyboard types really well though once you get used to its particularities. 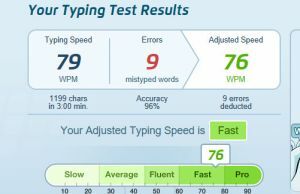 The keys feel soft to the touch and have excellent feedback and actuation point, without being shallow or requiring a very firm hit, which for me lead to fast typing speeds and above average accuracy. Normally I actually struggle with deeper stroke keys (1.9 mm on this one), but that wasn’t the case here. This keyboard is also one of the quietest I’ve got my fingers on in a while, except for the Space key, which is noisier than the others. 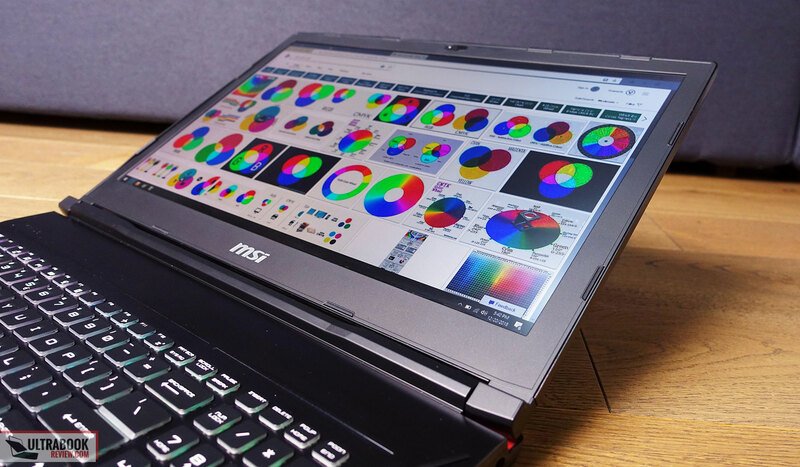 MSI has also been some of the first to implement per-key RGB illumination on their notebooks, with bright LEDs that cover both the main letter and the secondary function of each key, and their approach is still one of the best in the business. The included SteelSeries Engine app gives control over the illumination and allows to set custom profiles, effects, etc. 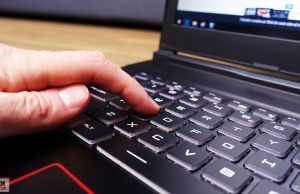 I will also note that this keyboard offers a neat trick when pressing the FN key, turning off the keys that don’t have a FN+ function associated and only lighting those who do. 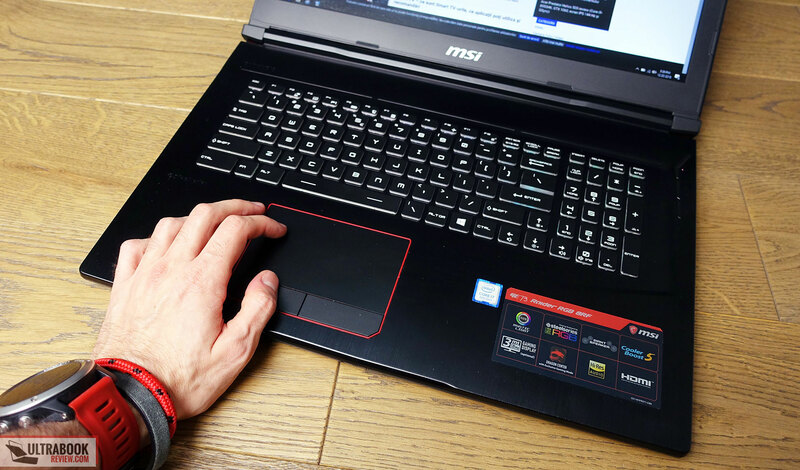 For mouse, MSI went with a non-clickable touchpad with physical click buttons below. It’s averagely sized, made our of plastic and a Synaptics surface without Precision drivers, but actually feels nice to the touch and handles swipes, taps and gestures well. I did however notice that the frame causes a hollow sound when taping this touchpad a bit firmer, and the click buttons, while practical, are fairly stiff and clunky, so in the end you will get a nicer experience with an external mouse, which I’d expect you already planned to have hooked up on such a gaming notebook anyway. 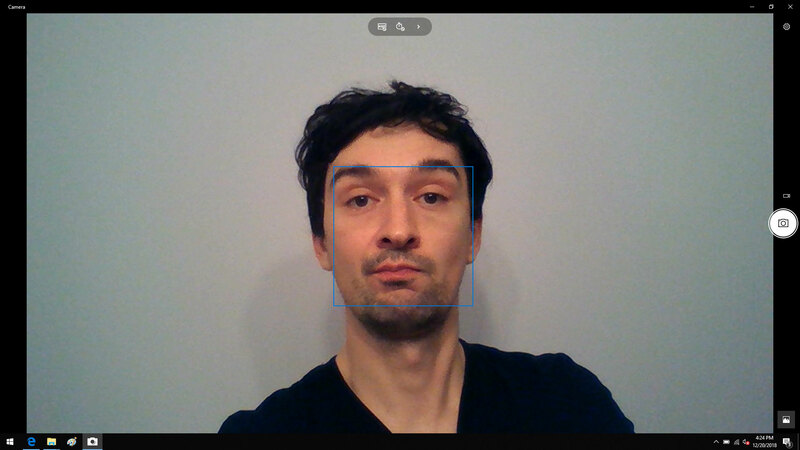 There’s no finger sensor or set of IR cameras on this laptop, thus no bio-metric login method. 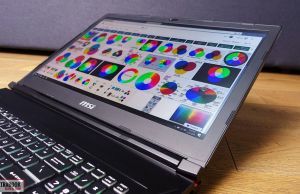 MSI offers this laptop with either an FHD 120 Hz TN or a UDH 60 Hz IPS panel, both without GSync, and none as good as the options you’ll get with more modern notebooks. 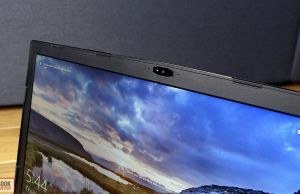 We have the former here, which when introduced had the advantage of being faster and more uniform than the existing IPS alternatives, but in the meantime the 144 Hz IPS option available on the MSI GE75, Asus ROG GL704 or Alienware m17 are just as fast, brighter and offer better viewing angles. That being said, this is not a bad panel if you can accept the color-shifting and narrower viewing angles associated with TN panels. 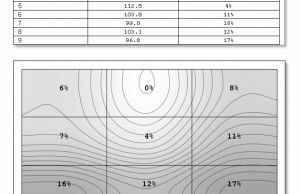 It’s not one of those poor-quality kinds of TN panels you get with entry-level laptops, and the measurements below, taken with a Spyder 4 sensor, will show you what to expect from it. PWM: 25000 HZ <15% brightness. 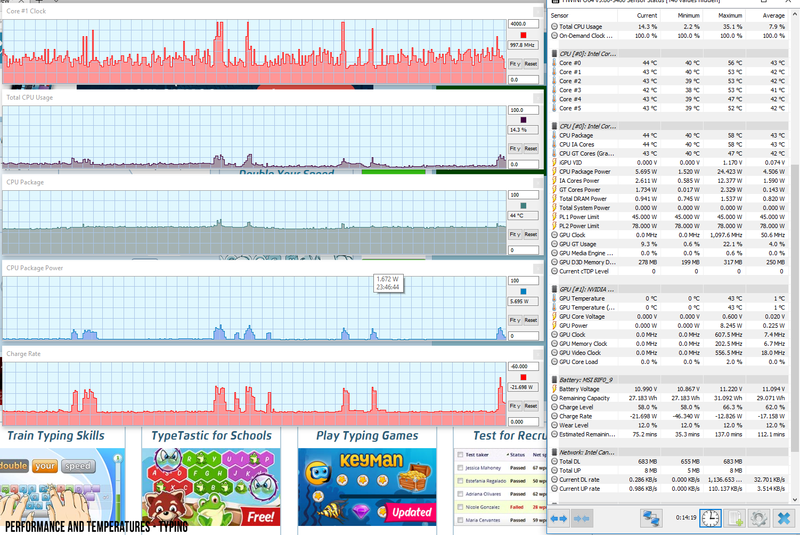 Response time: 3 ms advertised, 13.5 ms BTW measured. This is definitely not a bad panel, with solid contrast, color and fast response times, corroborated with the 120 Hz refresh rate. 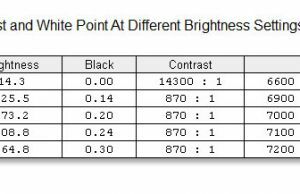 It is however rather dim, which can be problematic in bright environments, alongside the inherent color/contrast shifting associated with the TN matrix. 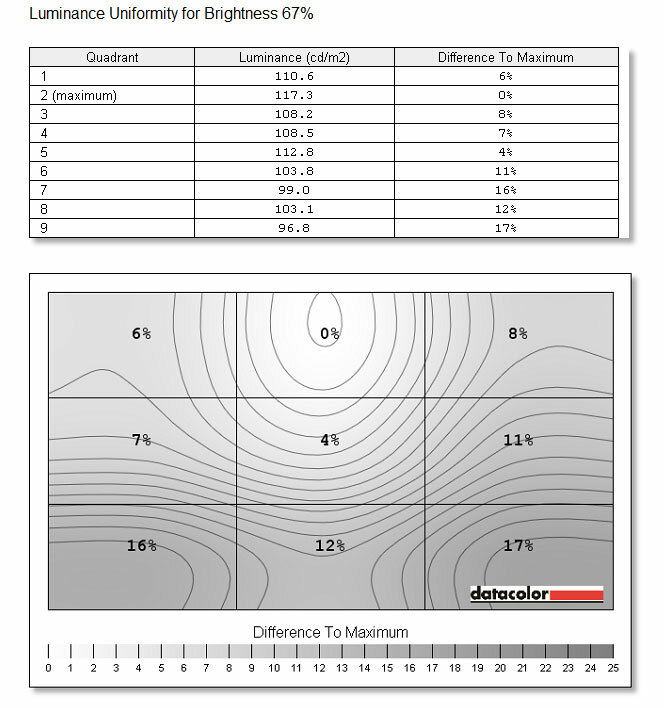 You can use this calibrated color profile to address the White point and Gamma imbalances. Our test unit is a highly specked version of the GE73 Raider 8RF, with a Core i7-8750H processor, 16 GB of DDR4 2400 MHz RAM, Nvidia GTX 1070 8 GB graphics and dual storage, with a 256 GB M.2 SSD and a 1 TB 2.5″ HDD. 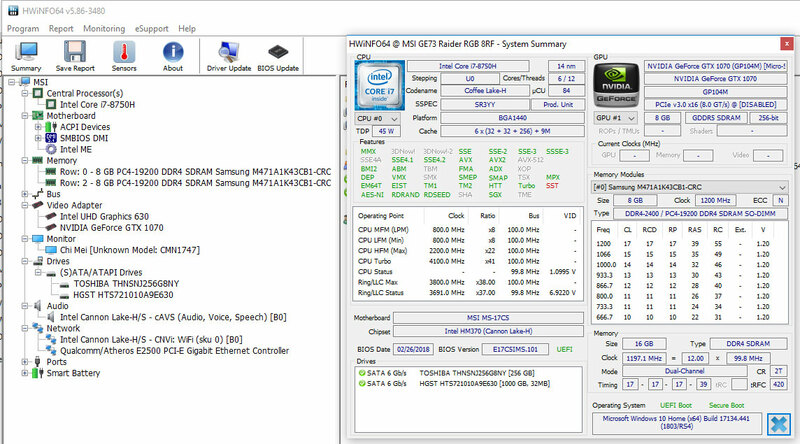 By default this notebook ships with a SATA 3 M.2 SSD even at this point, but you can get inside and upgrade it. However, for that, you’ll have to remove the entire bottom panel, which is a bit trickier than it might seem. Follow the video below, especially the part that explains how to be extra careful around the ports. Once inside you’ll get access to the RAM slots, the three storage options (2x M.2 and 2.5″) and the Wi-Fi module, as well as a clear look at the complex cooling system. 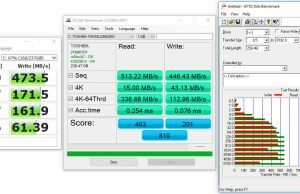 Back to upgrading the SSD, compatibility seems to be rather problematic, and you should check the forums to see which NVMe drives will actually work with this laptop. 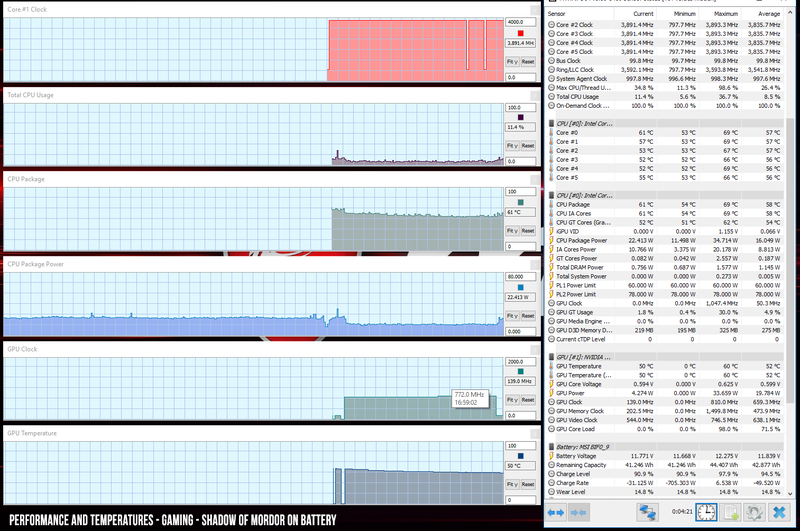 Google is your friend, just search for “MSI GE73 NVMe SSD” for more details. 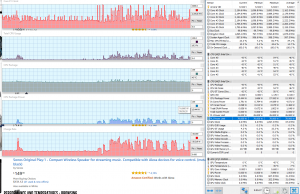 Of course, this laptop handles everyday tasks smoothly and quietly, even if it sometimes doesn’t feel as snappy with a SATA SSD (yes, you can actually tell the difference once you’ve gotten used to a faster SSD). Nonetheless, you’re not going to get a GE73 Raider for browsing and movies, but primarily for games and demanding chores. 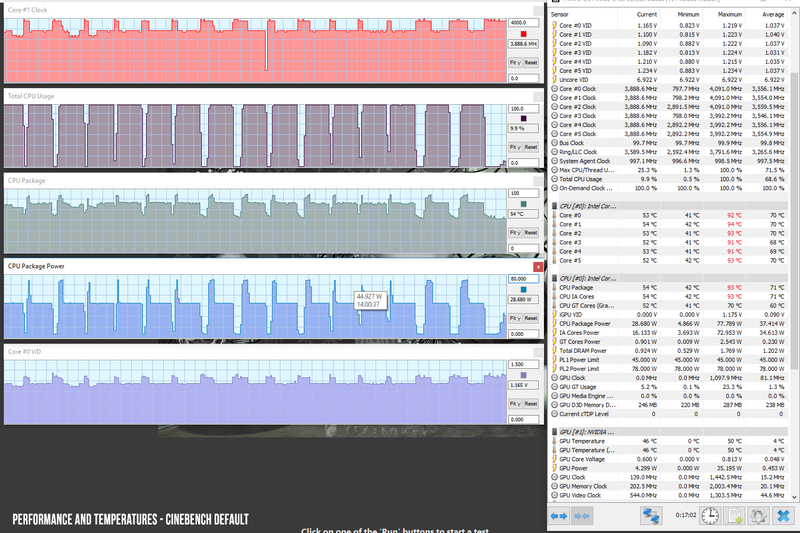 In our tests, we’re first focusing on the CPU, and we ran Cinebench R15 for 10+ times in a loop, in order to see how the processor handles taxing 100% loads on all its cores. 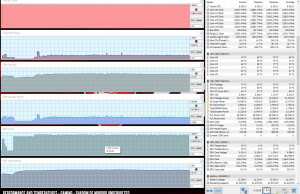 Out of the box the CPU settles at a TDP of 45 W, around 3.3 GHz, temperatures of 78-80 degrees Celsius and scores of around 1050 points, as you can see below. 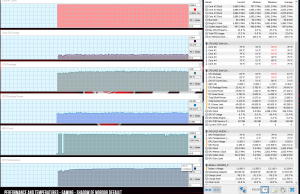 MSI went with a standard TDP implementation and chose to keep temperatures at bay, but while somewhat sacrificing performance. 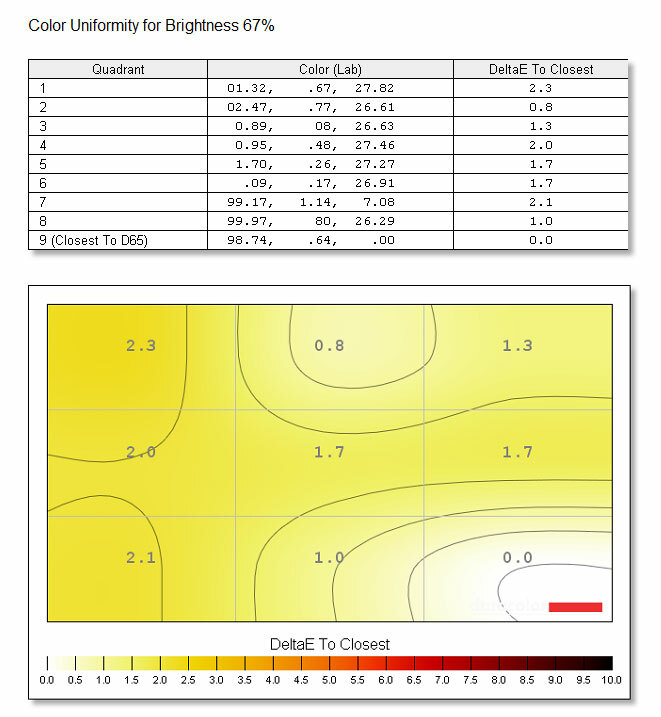 Other OEMs opt for a higher TDP threshold, associated with increased performance and higher temperatures. 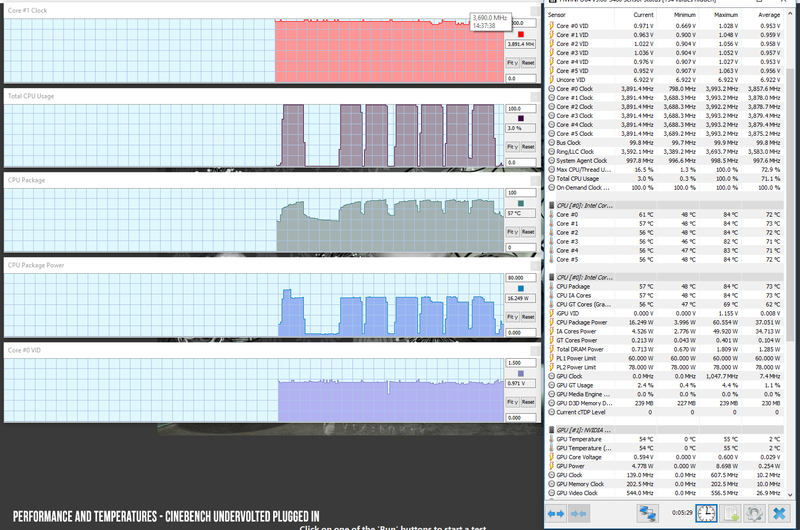 We were able to significantly improve this behavior by undervolting the CPU to -150 mV (explained here). 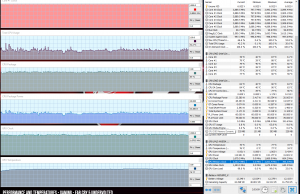 In this case, the CPU runs at a similar TDP of 45 W, but around 3.7 – 3.8 GHz and 82-84 degrees Celsius, which translates in Cinebench scores of around 1180 points. 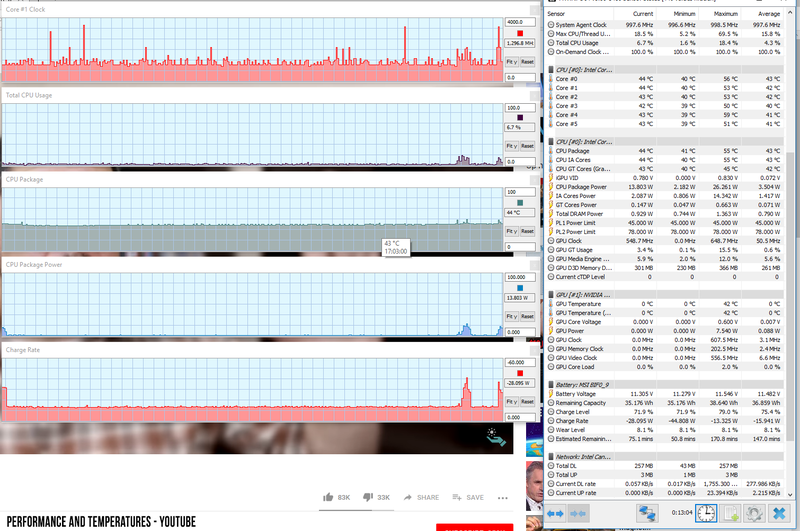 There’s still room for improvement, as the CPU is theoretically meat to run at a maximum of 3.9 GHz all-core boost, but our sample became unstable at lower voltages and the TDP limit is locked and we couldn’t’ adjust it with XTU or other software. 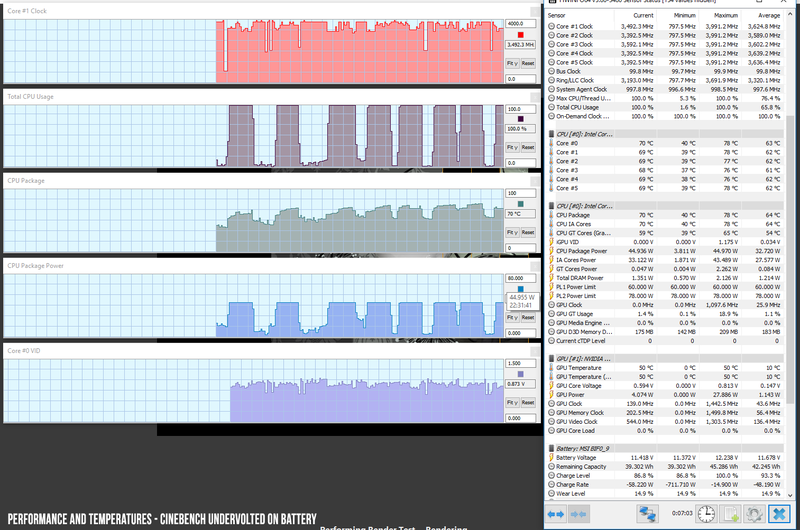 The CPU also performs surprisingly well while on battery, as you can see below, on a similarly -150 mV undervolted profile. 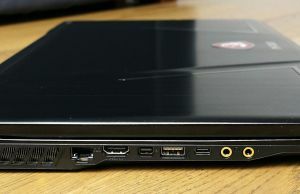 All in all, the GE73 Raider offers excellent CPU performance once undervolted, while actually running cooler than other thin-and-light gaming laptops. 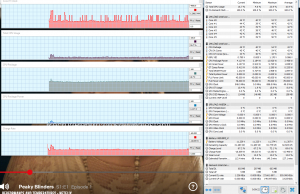 x264 HD Benchmark 4.0 32-bit: Pass 1 – 205.50 fps, Pass 2 – 70.37 fps. 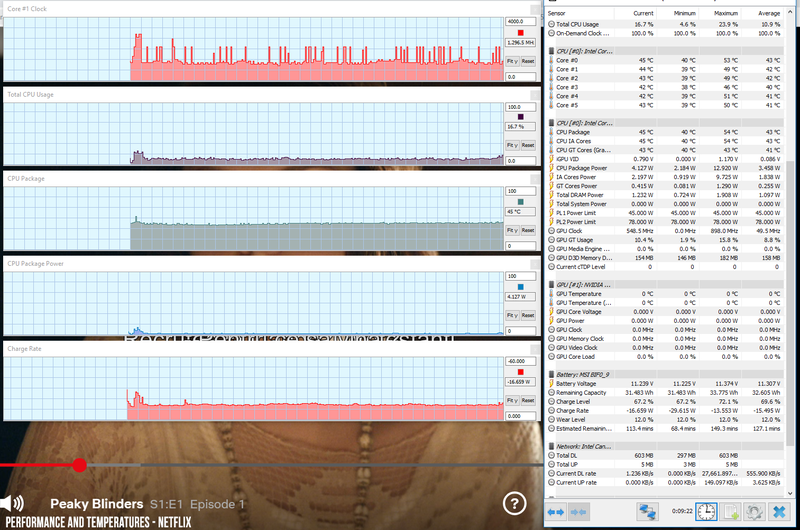 x264 HD Benchmark 4.0 32-bit: Pass 1 – 208.18 fps, Pass 2 – 76.54 fps. OK, with those out of the way, let’s finally get to the elephant in the room: gaming. 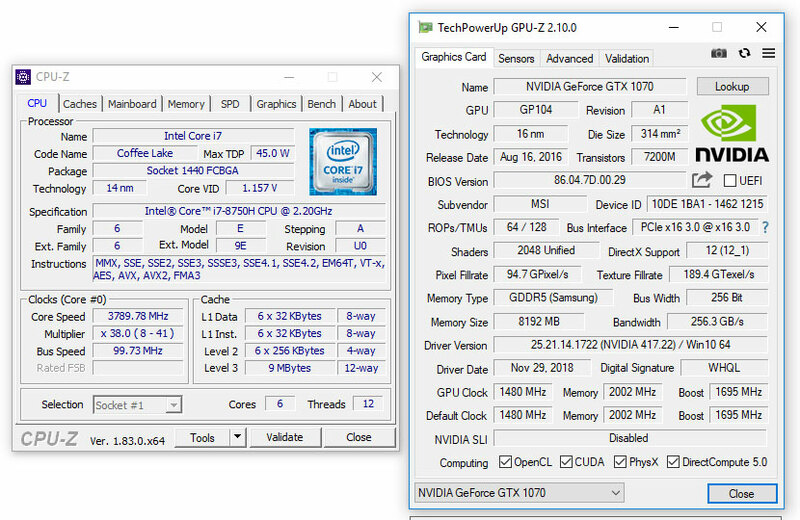 The GE73 Raider gets a full-voltage implementation of the Nvidia GTX 1070 GPU, with a default clock speed of 1480 MHz and Turbo up to 1695 MHz, and the performance is pretty much flawless with the games we’ve tested, even after a couple of hours of playing. 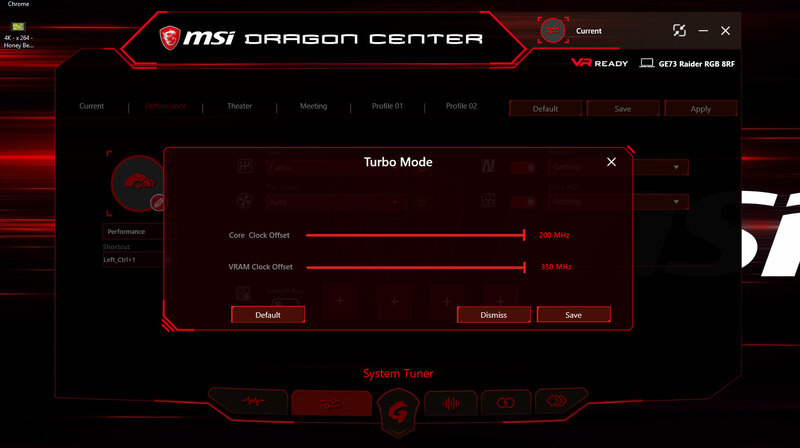 We should also mention the included MSI Dragon Center app that lets you play with different performance/fan modes, among others, as well as Overclock the CPU and VRAM by selecting Turbo Mode from the Shift tab. 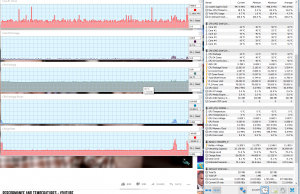 Below you’ll find some gaming results measured on the Default profile, as well as with Turbo adjusted all the way up and the CPU undervolted at -150 mV. 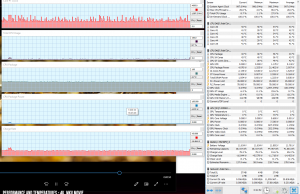 However, overclocking is tricky on this laptop that already pushes thermals and power-requirements to the limit, especially in the more demanding titles. We noticed a 5-15% boost with benchmarks and some older titles, but crashes occur often in recent games and we couldn’t even start Far Cry 5 on the overclocked profile. In conclusion, you’d have to play with the settings in order to get a stable profile and don’t expect to just be able to crank everything to Max, it’s not going to be that simple. 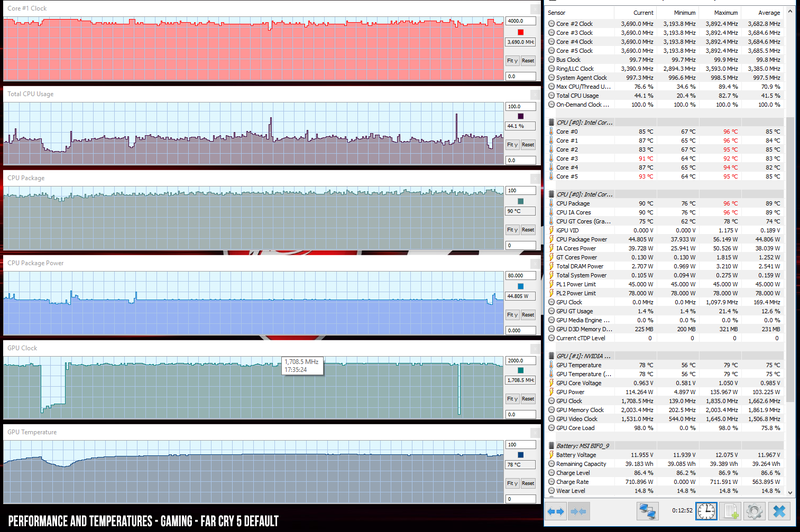 The logs below show constant CPU and GPU frequencies while gaming on the out-of-the-box Performance profile, with fairly high temperatures in the more demanding titles (up to 95 C CPU and 80 C GPU in Far Cry 5, lower with older games). Undervolting the CPU helps though, lowering temperatures to around 85 degrees Celsius, as well as slightly impacting the GPU and lowering its temperatures to 76-77 degrees. Undervolting also has a minor impact on the fans behavior, which spin a tad quieter due to the lower temperatures, and leaves some room to overclock the GPU, but don’t expect more than 5-15% gains in older titles, and less with more recent titles that already put a high stress on the CPU/GPU. 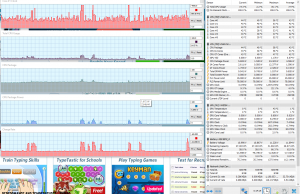 Gaming on battery, on the other hand, is a much-limited experience, with the GPU being capped at about 780 MHz, which is normal on a device with this kind of hardware. 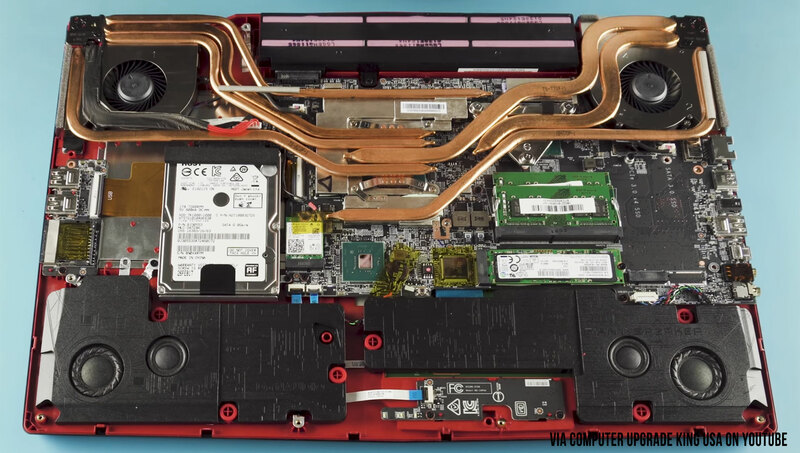 This is a thin-and-light gaming laptop with beefy specs, so it comes to no surprise that it also gets a complex set of heatpipes and high cfm fans in order to keep the hardware at bay in this kind of a chassis. 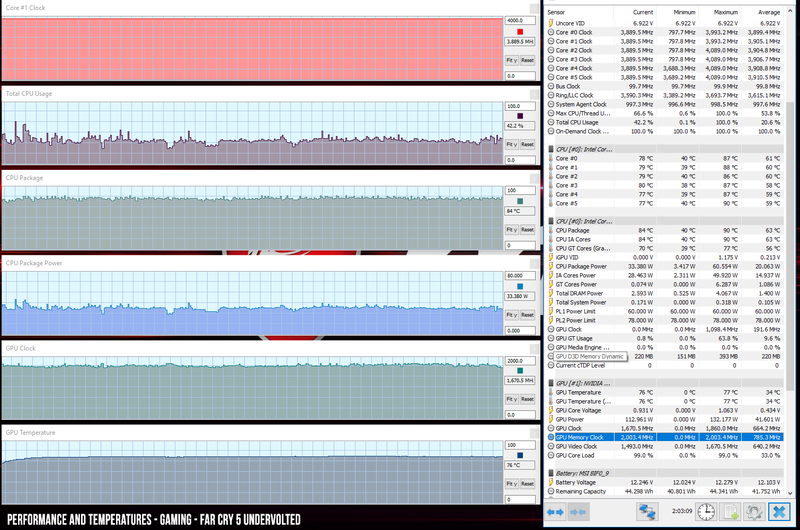 These fans get loud with gaming and the CPU/GPU reach rather high temperatures. 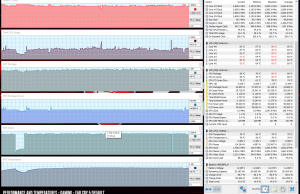 However, as mentioned in the previous section though, the internals actually run cooler on this laptop than on other similar devices, even with demanding recent titles, and that also translates in excellent outer-case temperatures of only around mid-40s. 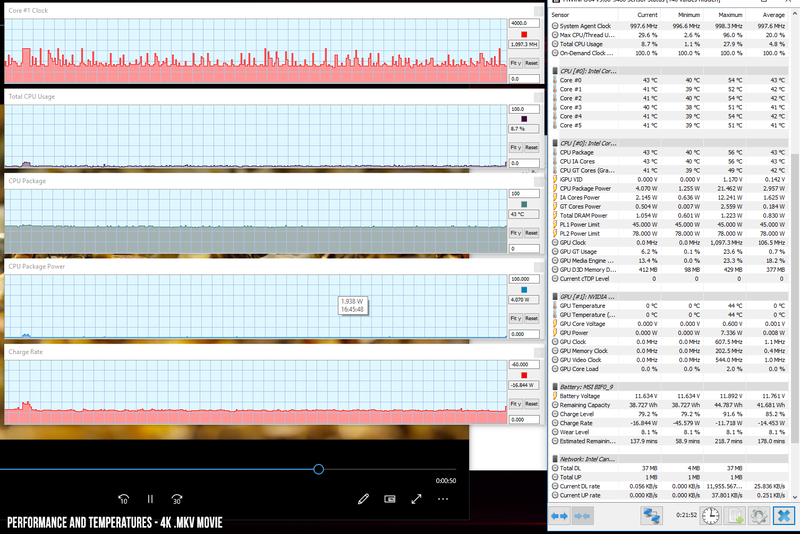 On the other hand, the fans do get loud, at up to 55-56 dB at head level in Far Cry 5 on the default profile, and 53-54 dB on the CPU-undervolted profile, both with the fans set on Auto. 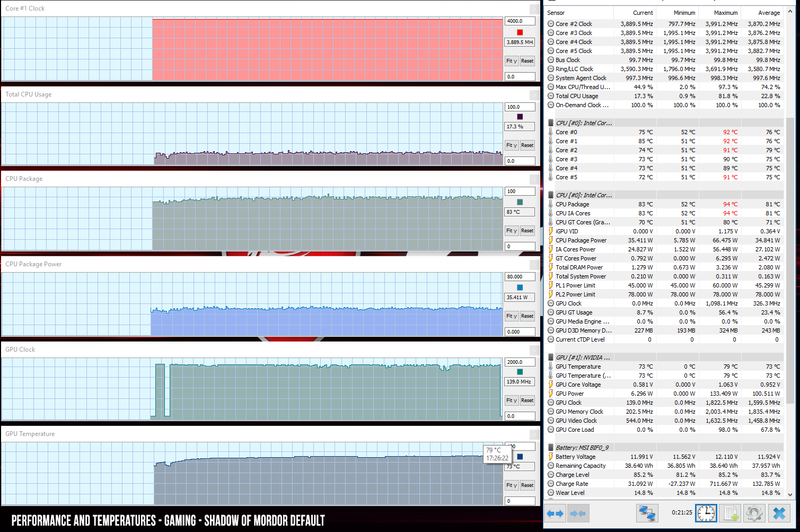 With daily use, the fans are much quieter, with the GPU fan resting idle and the CPU fan spinning at barely audible levels. You can tweak their behavior in the Dragon Center app, selecting between a couple of operating modes or manually adjusting their speed based on temperature brackets. Keeping them on Auto does the job well enough, so you won’t have to mingle with these details if you don’t want to. 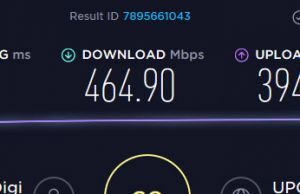 For connectivity, there’s Wireless AC and Gigabit Lan on this laptop, and both work well. 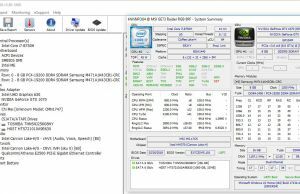 We’ve mostly used our review unit on wireless, and the Intel 9560 with the latest drivers proved to be fast and reliable, both near the router and at 30+ feet with obstacles in between. 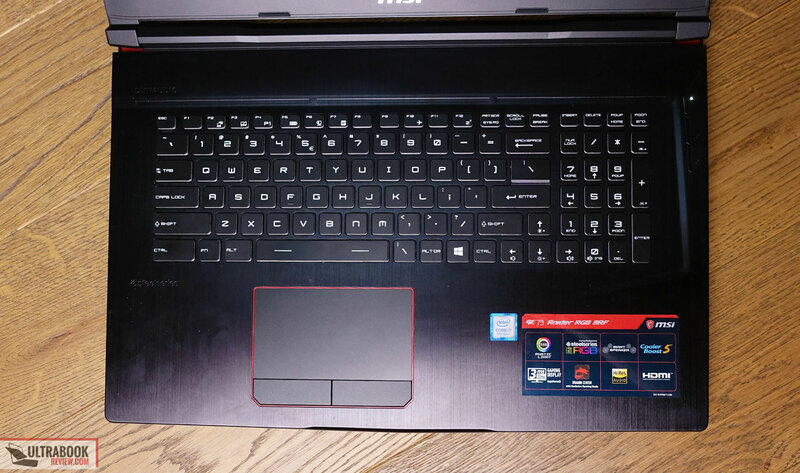 The MSI GE73 Raider steps in front of all its competitors when it comes to audio quality. The internal schematics show that most of the area beneath the palm-rest is allocated to speakers, with a a set of large 2.2 chambers. As a result, these speakers are very loud, at up to 92 dB at head-level, and sound clean and rich for laptop speakers, even on the low-end. The included camera, on the other hand, is mediocre at best. 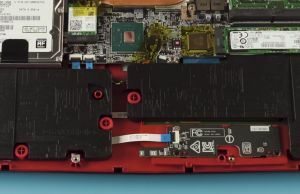 MSI sacrificed the size of the battery when they opted to implement that beefy set of speakers, as there was only enough room to fit a 51 Wh tubular battery between the hinges, and rather dangerously placed to the laptop’s hot areas. That means you’re not going to get much in terms of battery life with this notebook, and it might also lead to accelerated degradation due to high-temperatures exposure. 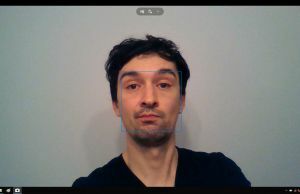 Either way, here’s what we got with our sample, with the screen set at 40% brightness, which is roughly 120 nits. 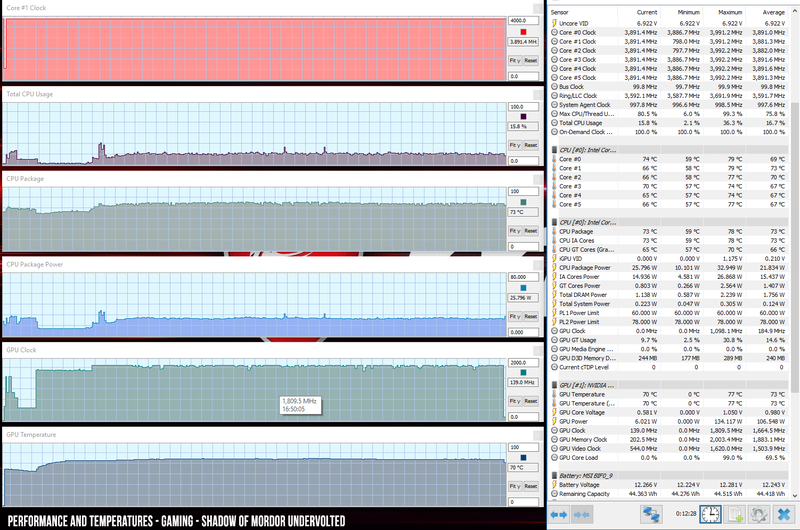 50 W (~1 h of use) – Gaming – Shadow of Mordor, Maximum Performance Mode, screen at 40%, Wi-Fi ON. This configuration of the GE73 comes with a 230 W charger which is barely enough to keep up with the system demands. Our test model did not discharge while playing games, but other reviews actually measured peak power-drains higher than 230 W, yet the power supply seems to have enough in the bag to accommodate this kind of consumption for shorter periods of time. 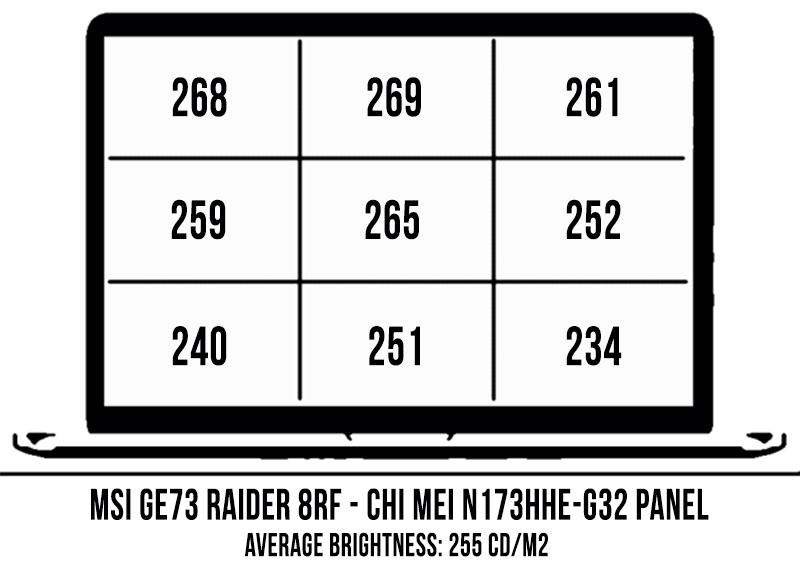 The MSI GE73 Raider 8RF has been available in stores for many months and at this time you’ll probably find it discounted in quite a few places. The configuration reviewed here is available for around $1600 to $1700 in the US. Follow this link for updated prices and configurations. 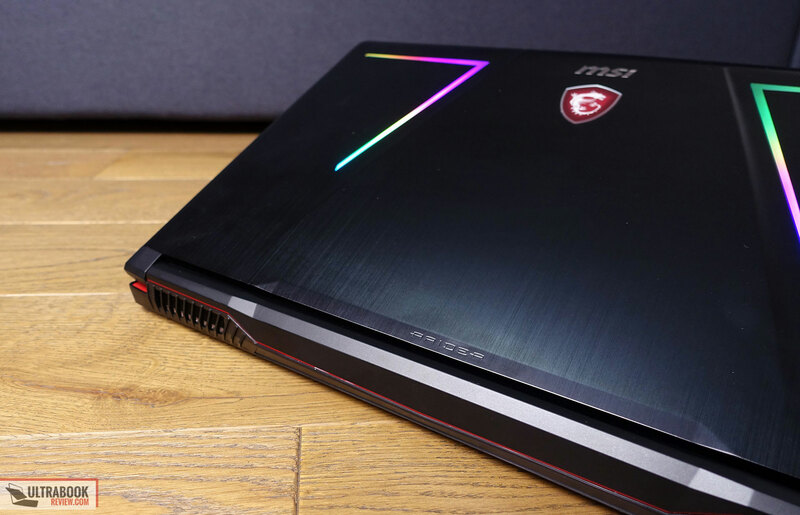 As of January 2019, you’ll also find the updated version of this laptop in stores, the MSI GE75 Raider, with updated RTX 2060, RTX 2070 and RTX 2080 graphics, a smaller footprint, a 144 Hz IPS screen, and larger battery. This one starts at $1999 for the RTX 2060 and $2299 for the RTX 2070 variant, so the GE73 remains an option for those of you shopping on a more limited budget. That’s actually pretty much why we decided to review the GE73 Raider at the beginning of 2019, despite the fact that it’s a mid-2018 launch and its successor is already available in some parts of the world: the excellent value. 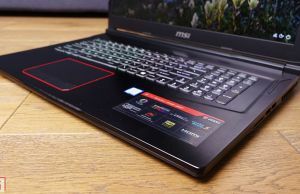 There’s no arguing that there are nicer made thin-and-light 17-inch laptops out there with smaller footprints, newer IPS 144 Hz screens, larger batteries or the updated Nvidia Turing graphics, and we covered many of those in our other articles. But what if you don’t have $2000+ to spend an still want a fairly capable and fairly portable 17-inch gaming laptop? 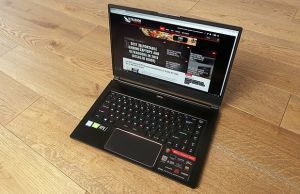 In that case, the MSI GE73 should still be on your list, especially while still in stock at discounted rates. 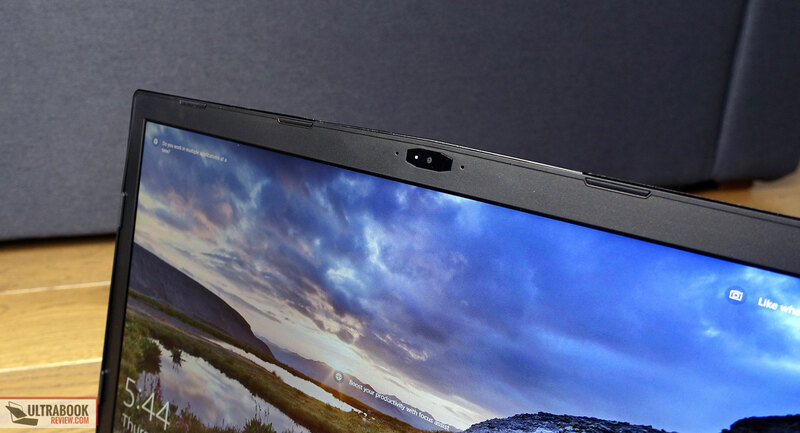 You will, however, have to accept that TN screen with its limited viewing angles, the short-battery, and limited performance while on battery, as well as those loud fans and lack of a Thunderbolt 3 port. On the other hand, the Ge 73 Raider can squeeze excellent performance from the i7 CPU and GTX 1070 GPU inside, send the content over to a fast 120 HZ screen and supplement the experience with good thermals and punchy speakers. 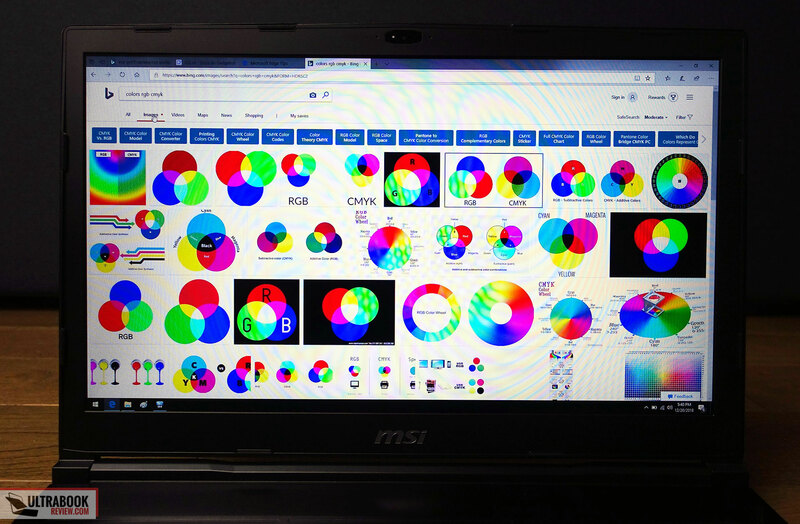 So at the end of the day, the MSI GE73 is a trade-off, checking many of the right boxes, but also lacking on some features perhaps many of you would want on a modern laptop. 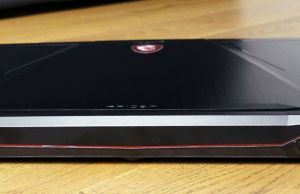 It still gets our recommendation if you can find it for the right price, but make sure to also keep an eye on the competition (Asus ROG GL703GS, HP Omen 17), but also on the newer launches if you’re willing to spend extra for a more compact device with updated traits, like the MSI GE75 and GS75, the Alienware m17, the Asus ROG GL704 or even the Lenovo Legion 740. 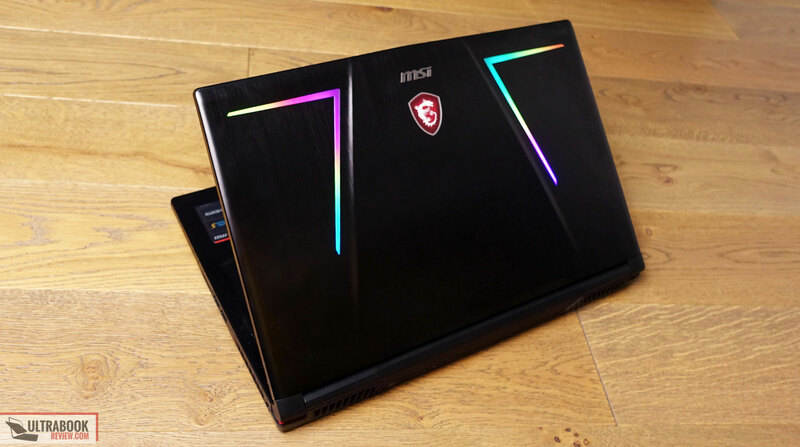 This wraps-up our review of the MSI GE73 Raider 8RF, but the comments section is open for your feedback and questions, and we’re around to help out if we can. 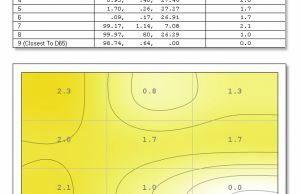 Hmmm, those are the results I got with this sample. 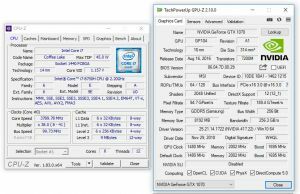 There's a HWinfo log with GPU information, you can try to compare that to yours.